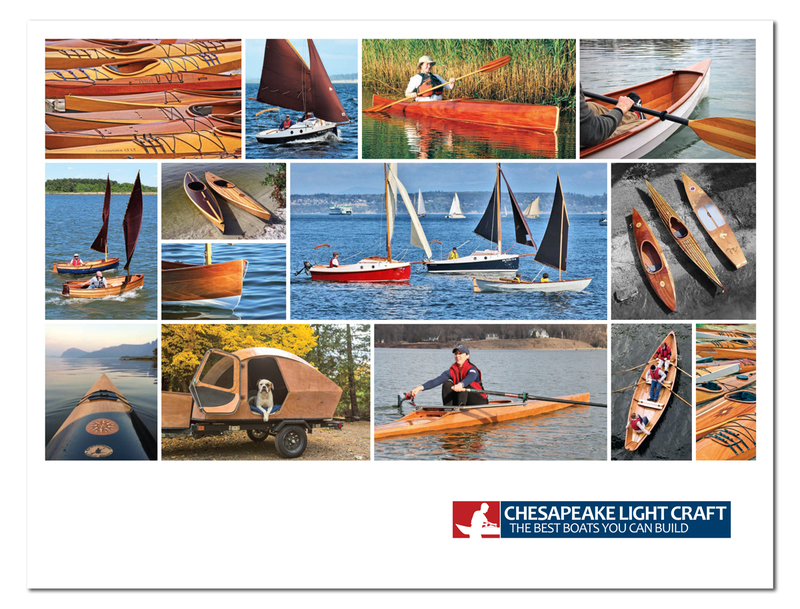 Mark your calendars, wooden boat lovers and builders: Chesapeake Light Craft will present its 21st annual small boat rendezvous on Friday and Saturday, May 17-18, 2019. "Okoume" is the plantation-grown African hardwood used in tens of thousands of CLC's build-your-own-boat kits. OkoumeFest features an open house with technical seminars on Friday at the CLC plant in Annapolis, and on Saturday an on-the-water rendezvous at Matapeake State Park on Kent Island. This event is RAIN OR SHINE. Please note that if thunderstorms are detected nearby we'll bring the boats off the water. 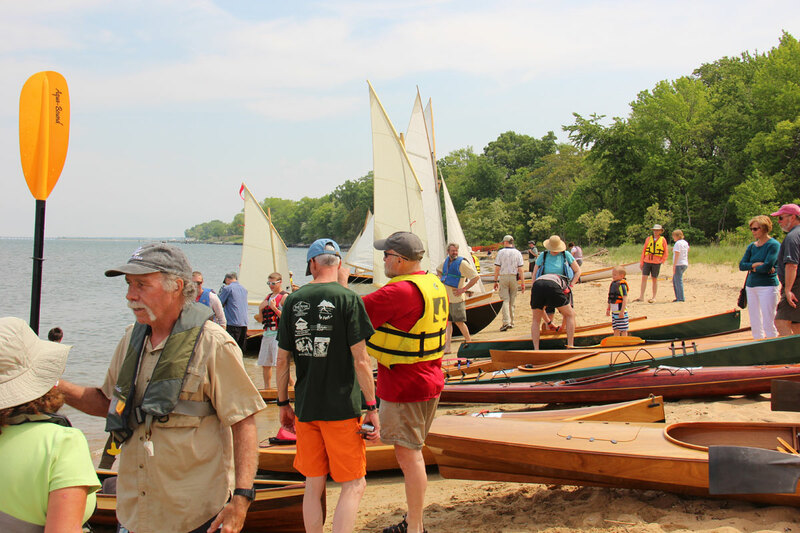 The Friday seminars are informative and fun, but the highlight of OkoumeFest always comes on Saturday, when we bring virtually everything in our shop over to the beach at Matapeake for our friends to paddle, row, sail, and generally put through their paces. We also encourage fellow boatbuilders to bring their homebuilt watercraft to show and compete for best-in-show honors and various awards. OkoumeFest is also a special chance to try some of the boats, like PocketShip, we can't usually take on the road with us, and some that are new designs, like the Lighthouse Tender Peapod, the Oxford Shell II, Jimmy Skiff II, Tenderly XP, and the Waterlust Sailing Canoe. Attendance is free on both days this year, but please RSVP so that we can plan for the hordes. 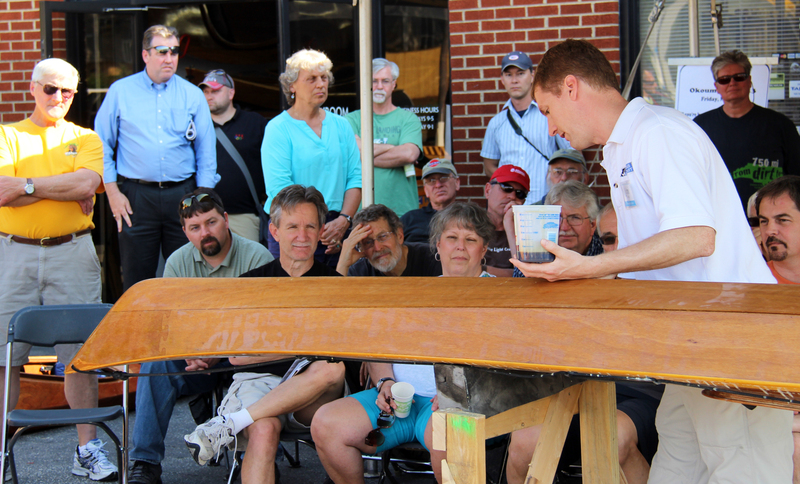 More than 300 people joined us for last year's OkoumeFest, not only to attend boatbuilding seminars or have a test run in one of CLC’s 55 demo boats, but also to show off boats they had built themselves. CLC offers awards to amateur-built boats, many of which took hundreds of hours to build and look like exotic furniture. The event draws small boat aficionados from as far away as New England, Florida, and the west coast. Watch the video below to learn more about the event. Attended OkoumeFest before? 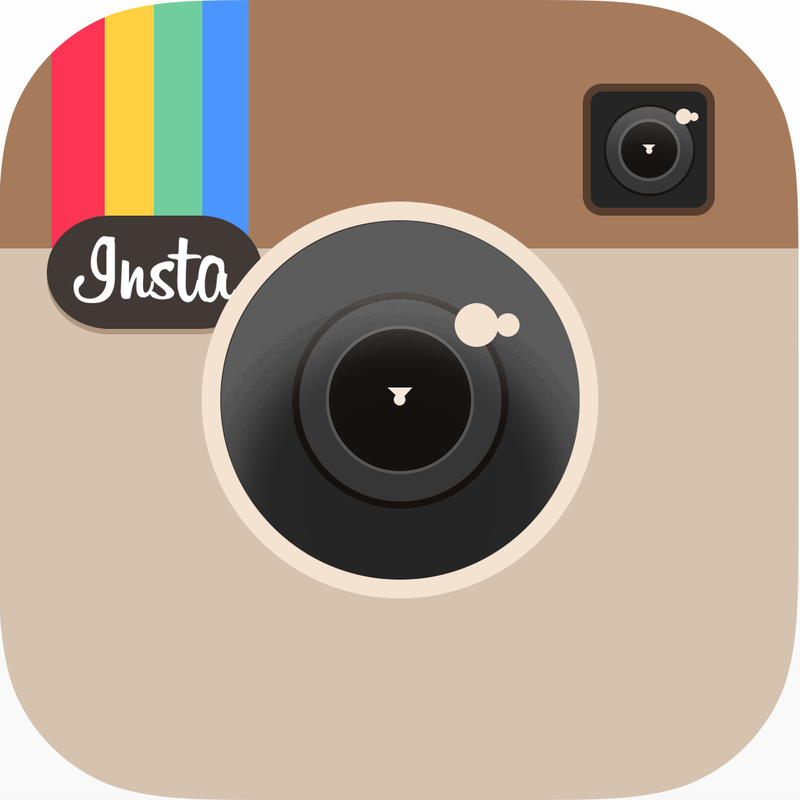 We'd love your feedback! Join us for an open house, shop tours, boatbuilding demonstrations and seminars from experts beginning at 11 a.m.
And we'll be blowing out a lot of old and new inventory at the shop on Friday, including a few finished boats. You'll find great deals on boat kits, boatbuilding supplies, and gear storewide! A food truck will be on station all day in the lot so you don't have to leave to find something good to eat. On Saturday we move across the Bay to Matapeake, a lovely park on Kent Island. With a huge sandy beach, there is room for everyone to spread out. The kids will love the place. And we'll have a special table just for the little ones, with free boat models they can assemble and decorate themselves. From 9 a.m. to 4:30 p.m., weather permitting, you can try out our fleet of boats on the water, meet other builders, or launch your own boat. Bring your homebuilt boat to the beach and enter it to win one of many prizes. Our annual craftsmanship competition is light-hearted and fun, but the prizes are real and worth hundreds of dollars! Saturday's Schedule of Events TBD . . .
Bring your own Paddles & Life Jackets. We'll have lots of gear for in-water trials, but you can help us keep the lines down by bringing your own. The hill from the unloading area to the beach is significant. If you are bringing smallcraft or a large kayak, you'll be glad that you brought your dolly. If you are trailering a larger craft like PocketShip, you'll need to use the Matapeake Launch Ramp, shown on the map here. If you park your vehicle and trailer at the ramp, there's a nominal fee. Feel free to bring a picnic lunch or snacks. A food truck will be on station at Matapeake with great lunch options. In addition, there are many other choices offsite, within a five mile radius of Matapeake Beach. Read more here.